Langner Eye Care is excited to have the HRT-3 laser retinal imager in our office. 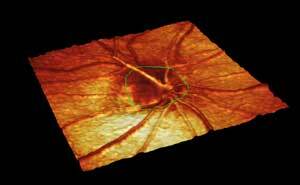 The HRT provides high resolution images to detect changes in the back of the eye associated with glaucoma, AMD and diabetic retinopathy. Dr. Langner can also perform a glaucoma screening with the HRT to determine your risk for developing glaucoma.